Vanilla e cigarette liquid is a top notch vanilla flavor that will wow your tastebuds and make you clouds of vapor. The rich, smooth flavor of vanilla is great by itself but is a wonderful compliment to a myriad of flavors such as strawberry and coffee. 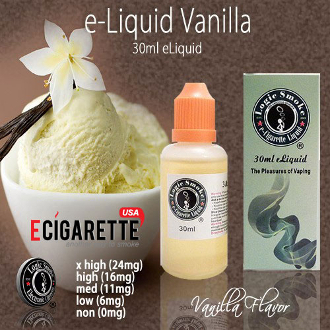 Pick up a bottle of Vanilla e cigarette liquid from Logic Smoke and enjoy.